The product that started the natural skincare revolution. A versatile oil suitable for a wide range of skin types and is especially excellent for body care, clinically proven to improve the appearance of scars, stretch marks and wrinkles. Our Rosehip and Rosapene range, for all skin types, is perfect for a variety of customers. Offering easy, every day, effective skincare solutions, these beautiful products offer everything your skin needs, nothing it doesn't. Designed to deliver visible results, this range combines powerful clinically proven natural actives with unique botanical formulations to help you achieve your best complexions, from the first signs of ageing and as your skin matures. A complete regime to help reduce inflammation, soothe and protect the weakened barrier of sensitive skin. These hypoallergenic products also deliver the added bonus of anti-ageing benefits as well. Adding a touch of indulgence to body care, these botanical products perform on the body while relaxing the mind. With the same high-quality pure plant oils and natural actives found in our face care products, this range is high-performance luxury. Following our mantra of simplicity, purity and vitality, this range helps care for scalp and hair. These modern, innovative natural formulations include pure plant oils, advance natural actives and hero ingredient Keracyn. We're ecstatic to hear The Duchess of Cambridge is a fan of our Certified Organic Rosehip Oil. As reported in Us Weekly, during her pregnancy "Kate continues to use rosehip oil in her daily skincare regiment," they added "She loves the effect it has on her skin. Her mother Carole Middleton is also a fan." 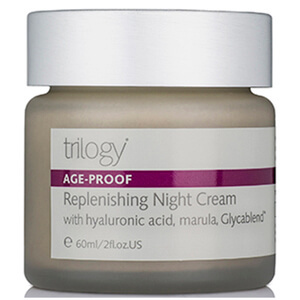 The article goes on to state "To fight fine lines without using potentially harmful retinoids, the mom to Prince George, applies Trilogy's Rosehip Oil, an all-natural oil that keeps wrinkles at bay." How does Rosehip Oil work? Essential fatty acids are vital lipid compounds that work at cellular level to promote healthy cell regeneration. They are super nourishing and moisturising to the skin. Our bodies cannot manufacture essential fatty acids, they must be provided. 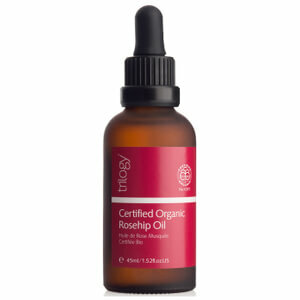 Rosehip Oil is lightweight and superfine, with a similar pH to our own skin sebum (oil). This allows the oil to be rapidly absorbed, leaving no residue and delivering essential fatty acids to the skin. Ideal for all-over nourishment and repair, skin is left feeling healthy, smooth and hydrated. The Trilogy story began in New Zealand with a rather special discovery by two sisters. They discovered the incredible rejuvenating properties of rosehip oil, a pure, natural, unfragranced oil effortlessly absorbed by the skin. They knew it was a future cosmetic star and Trilogy skin care was born. Motivated by three little words; simple, pure, vital. These three little words are our heart, our foundation, and the core of everything we do. We believe skincare doesn't need to be complicated. Our products are created from unique blends of the purest plant oils and botanical extracts working in perfect harmony to restore and maintain the natural vitality and radiance of skin. We believe true beauty is real beauty and also believe in the efficacy of our natural skincare products. They work. Every face tells a story. Everyone's journey is unique. We’re not promising perfection, simply that Trilogy skincare will help you achieve your best, most radiant complexion. Naturally. 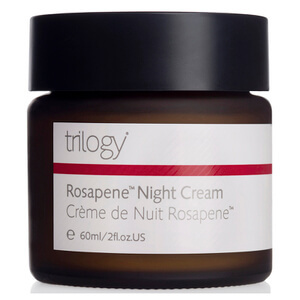 Find out all the award winning Trilogy products, which one will you try first? The Trilogy range combines the best natural emollients such as evening primrose and rosehip oil with a unique new natural emulsifying system and essential oils for a range of products that not only perform better, but are better ethically, aesthetically and environmentally. Avoiding all synthetic film-formers, silicones and emulsifiers, Trilogy helps you make a more conscious decision about the way you care for your skin, your wellbeing and your world.